Lapland UK: Don't Miss Out! 2018 Best Prices, Review & Tips! Lapland UK: Don’t Miss Out! 2018 Best Prices, Review & Tips! March 4, 2019 , 11:17 am in Days Out . This post may contain affiliate links. 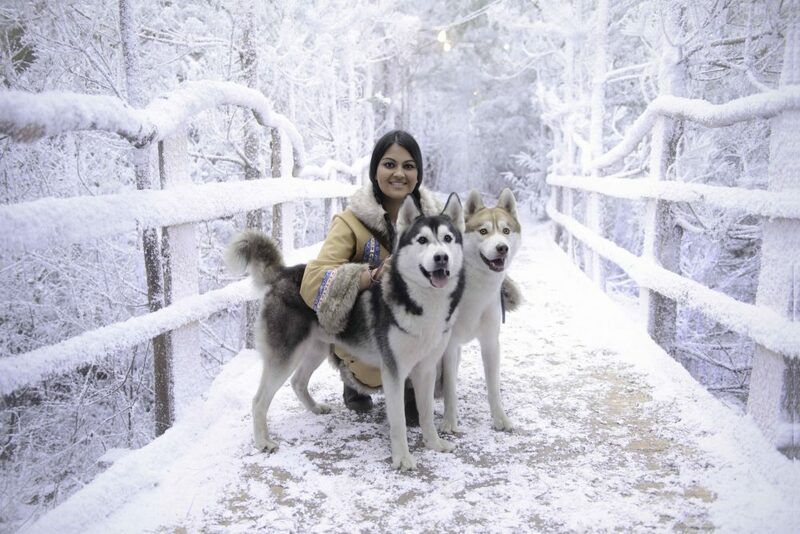 Lapland UK Ascot is an unforgettable day out for your little ones! We’ve created this guide to Lapland UK to help steer you on what is included and help plan for the day. And don’t forget to visit our site when you are looking for free and cheap days out ideas. 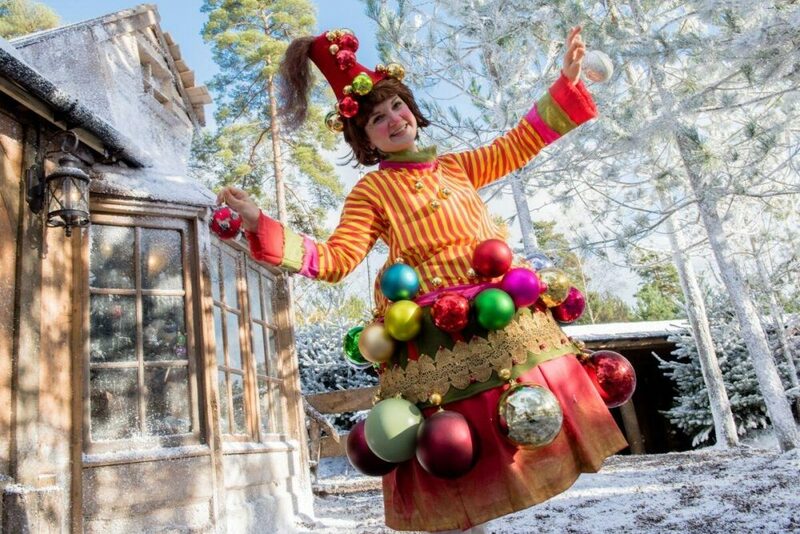 Lapland… in the UK… really? What are Lapland UK Prices and Priority Registration? Are there any Lapland UK offer codes, promotional codes, discount codes? What is the Lapland UK address? Oh yes, you’d better believe it! 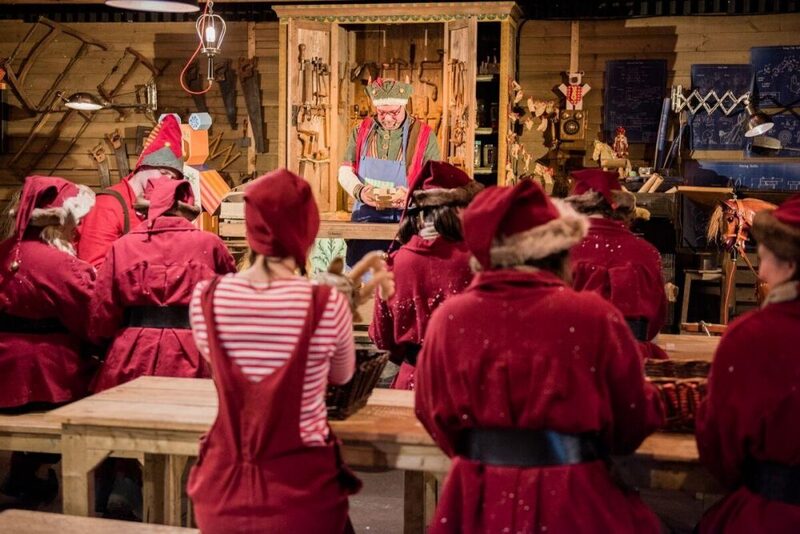 The best way to describe Lapland UK is a walk through theatrical production with Father Christmas. It lasts approximately 4 hours and takes place in Ascot, Berkshire. There are many alternative reproductions in the UK (you may remember a particular one making the news in 2010!) but the one in Ascot is the authentic one so make sure you know which one are booking! 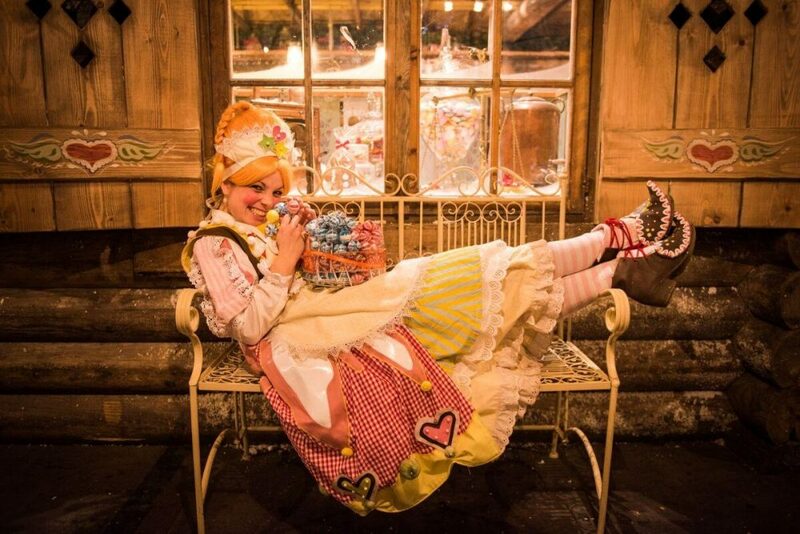 LaplandUK is not a theme park and so there are no rides – it’s more an immersive experience and a very different day out from the big theme parks. It’s also really important you arrive at the time given – they make it very clear you are not allowed to reschedule activities. LaplandUK recreates Father Christmas’ arctic homeland for one month every winter to celebrate a child’s belief in Father Christmas. 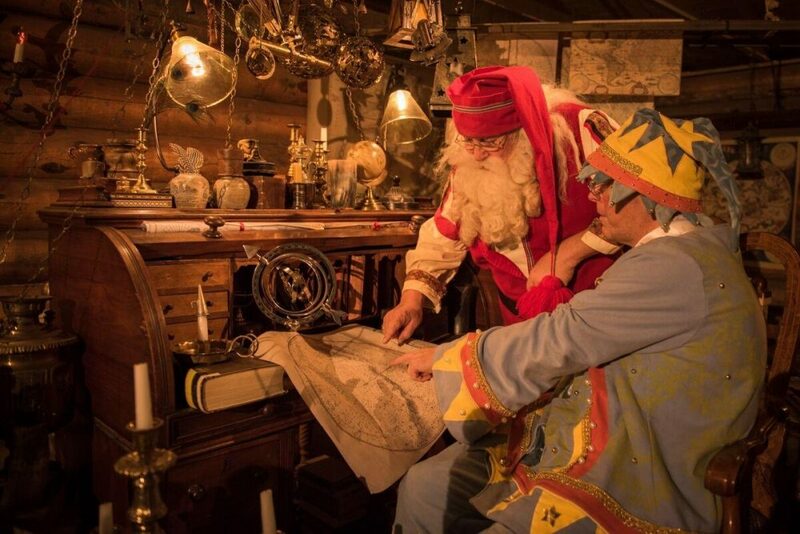 Adults book their family visit in advance of their daytrip, providing details about each child which allows Father Christmas to deliver a believable and personalised meeting to each child. 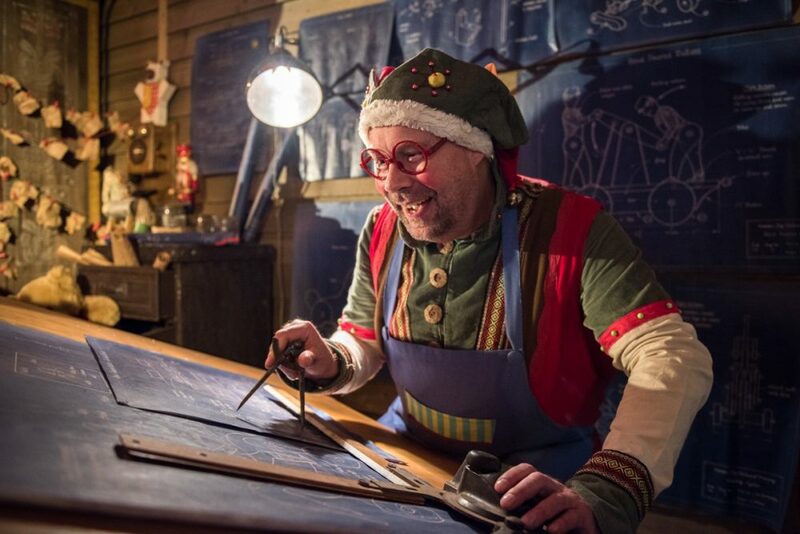 Before the daytrip, each child is sent a personalised invitation from Father Christmas by post, inviting them to come to his woodland Toy Factory to help his busy elves finish making all the toys in time for Christmas. On the day of their visit, each child is issued with an Elf Passport which allows them to journey the elves’ secret woodland pathways to reach LaplandUK. On entering the arctic wonderland, every family enjoys 4 hours of festive fun, helping the elves in the Toy Factory, decorating gingerbread with Mother Christmas, ice skating, meeting husky dogs and reindeer, visiting the elves’ village and writing letters from the North Pole post office. Children can even visit the Elf Bank to exchange pounds into Elf currency, the Elf Jingle! The highlight of the day is of course, your magical meeting with Father Christmas in his woodland home, where every child receives a gift. What sets this LaplandUK event apart from the others is the quality of the experience. You might also say that about the price but if you can stretch the budget it is an exceptional experience. Tickets cost @ £50-£80 per person. The price varies depending on the time and date you visit. The higher priced premium tickets are for dates closer to Christmas. So if you really want to go and it’s pushing the budget, it’s best to book early and go for one of the cheaper dates. Please remember you cannot buy tickets on the day! Unfortunately not. The production is extremely popular and so there is no incentive for the tickets to be released at discounted prices. Our advice is to work out what dates you can go, and when tickets are released, check to see what dates are available at the cheaper rates. Although you will see a number of mixed reviews online this is generally to do with the high cost. In terms of the experience provided the reviews are generally excellent. The reviews come from a variety of sources and Lapland UK are not shy of using a number of celebrity reviews! 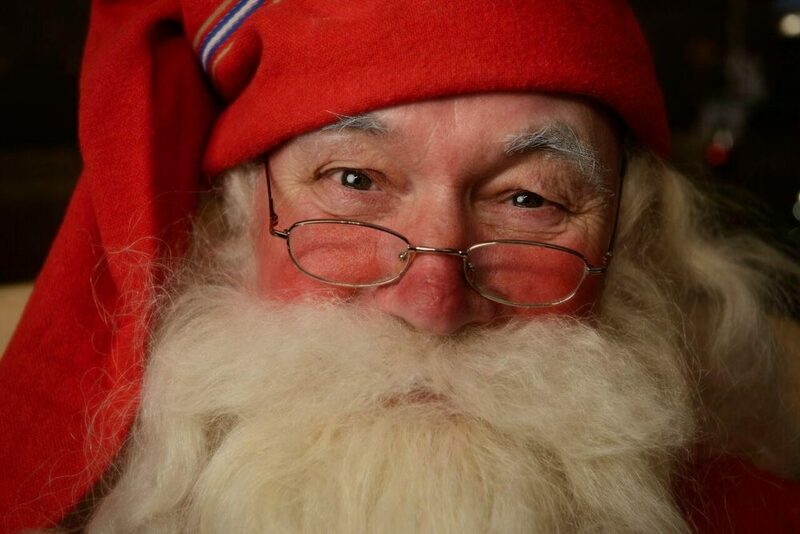 Tellingly in a recent survey, 98% voted LaplandUK the most magical Father Christmas experience, and 97% believed they had met the real Father Christmas! And, with 92% of people saying they will be returning to Lapland UK, it seems your money will be well spent! If you are travelling by car there is free parking. If you would like to travel by train closest station to Whitmoor Forest is Ascot, which is one mile away. This station provides easy access to the event from London and Reading. Register for priority booking so you get first choice of dates – which can also save you money! To ensure you get the right personalised invitation, have your child’s details at hand : Child’s name, Child’s date of birth, Child’s favourite person /pet/thing, Child’s favourite hobby or pastime. Your child’s invitation will be sent in the same envelope as your entry ticket so it cannot be seen by small eyes! You need to deliver the invitation to your child when and how you feel the most magical. Please be sure you can make the time and date prior to booking – there are no refunds! Wrap up warm and wear appropriate clothing and footwear! The majority of the experience is inside but be prepared if there has been rain or snow that things can get a little muddy! Don’t come too early – check in 15-30 minutes before your timetabled start. Don’t be late! But if you are simply report to one of the elves to join your tour party at whatever point they have reached on the timed itinerary. Don’t forget to bring your camera – you are welcome to take as many photos as you wish – except in Father Christmas’ house. Be prepared for a lot of people! Past estimates indicate groups of approximately 100 split into two further groups. There is more than one Santa! One tip is when the elf skips off into the forest, try and keep your children fairly close by so they don’t rush off into the wrong hut and see someone else looking like Santa! At Lapland UK they have their own currency – Elf Jingle. £1 = 1 ELF JINGLE. 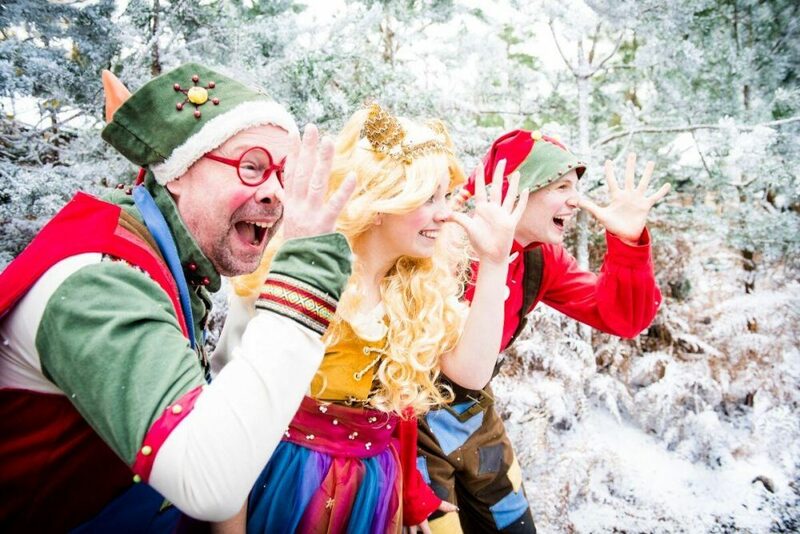 You can still pay in normal currency but if you are thinking of getting Elf Jingles we recommend pre ordering at the time of booking to benefit from FAST TRACK collection on arrival at LaplandUK. You can take a picture with Santa as this is a chance for them to upsell – the photo should cost around £10. If it’s your first time here, we created this page, with some of our very best resources, to get you started. Our HUGE list of everything you need to think about when it comes to packing for your family holiday.